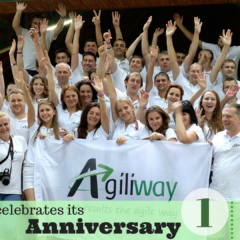 This week is the beginning of sunny August and Agiliway is celebrating its anniversary. 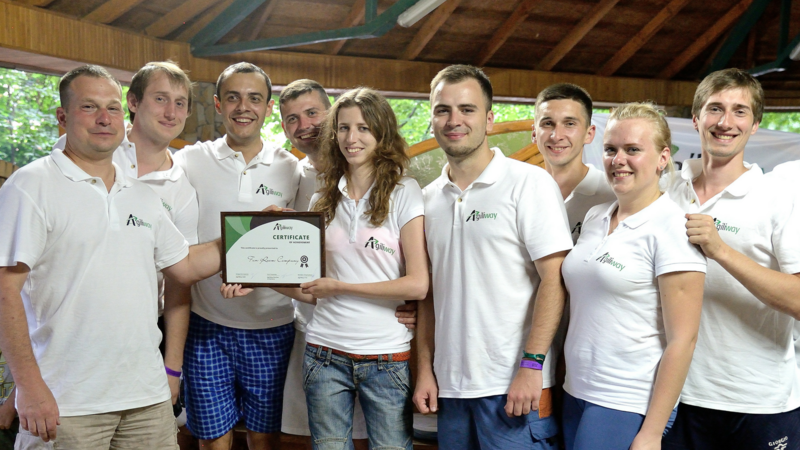 It already has been a year that we served as an US-Ukrainian software development outsourcing company. We thank our clients for who we are striving to do our best and our employees for their contribution to our lasting success. Celebrate victories should be an integral part of company’s culture. 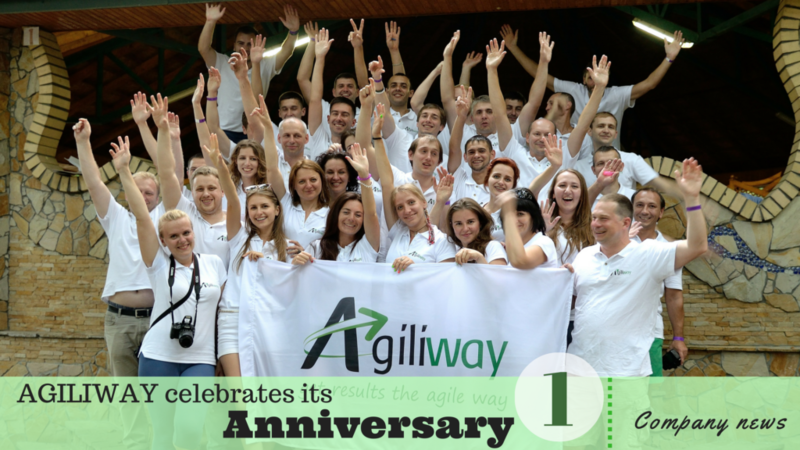 Agiliway has great achievements every day. We consider the Company day to be another victory and motivation to reach more and increase our team. This year was a real success. We’ve established strong presence in US and Europe and we are increasing our existence henceforth. 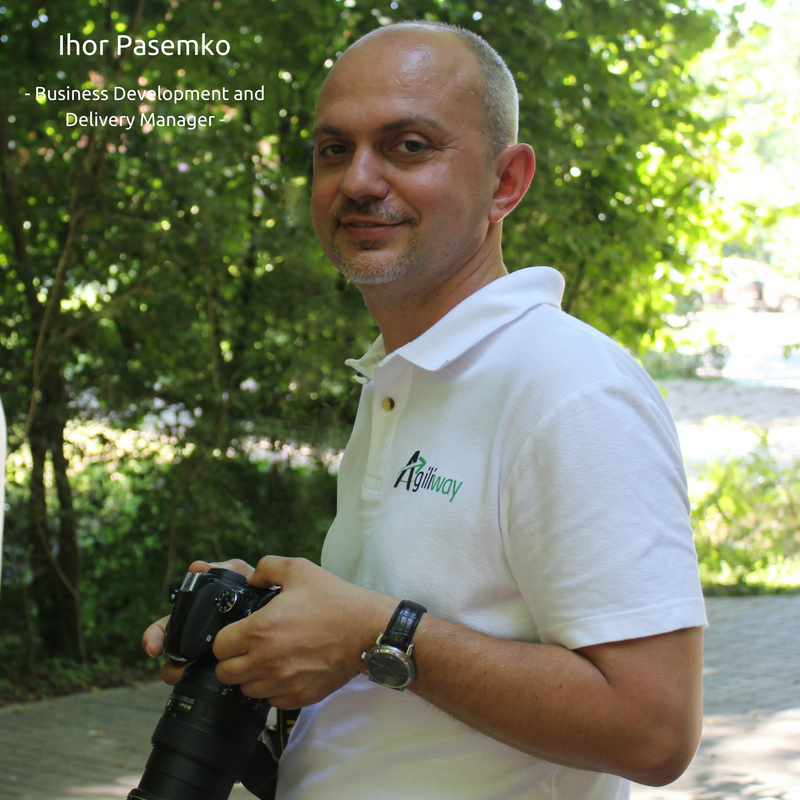 During his 20+ years experience in IT outsourcing industry, Ihor met lot of companies which makes him a real connoisseur of this sphere, so he is definitely sure about Agiliway’s preferences. 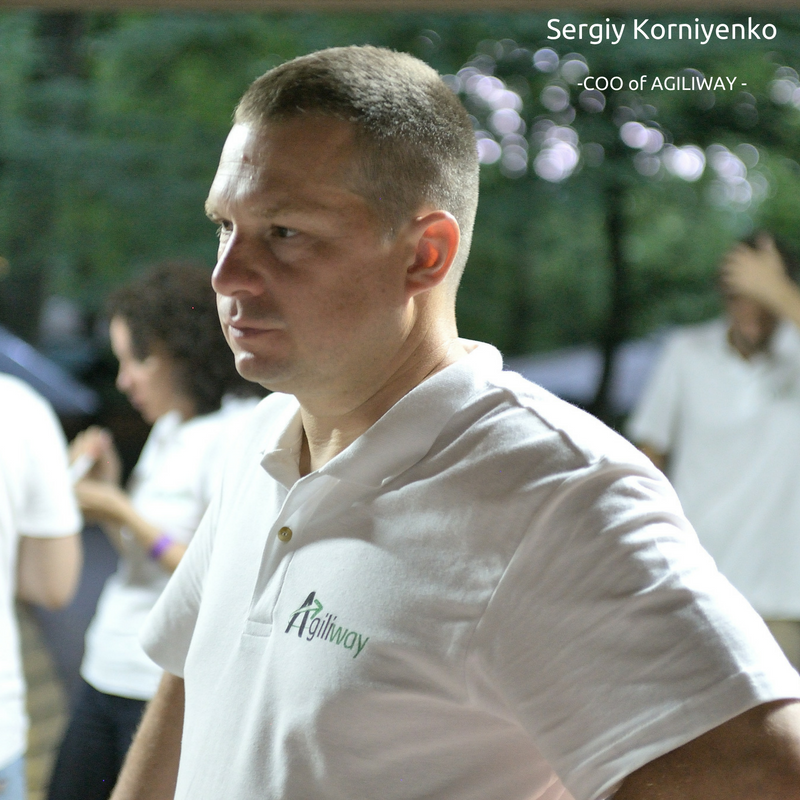 The backbone of Agiliway team relationship is team building. Without any exaggeration our members feel themselves at home when in office. They love to spend time together, be that working or off-hours time. The most popular game among our sport guys is football. They have even been nominated by our HR with special certificate for the active way of life within the company. But not only sport has been appreciated. Most prominent members were also nominated for their creativeness, persistence, liability, popularity and even for being funny (team that brings good mood to the company). 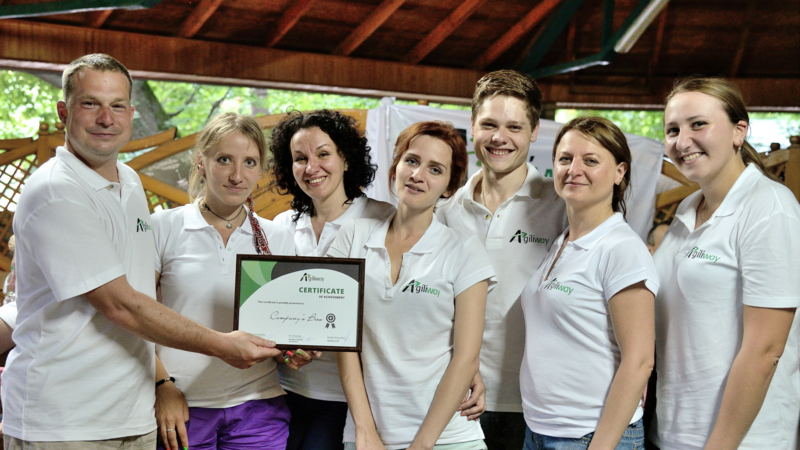 Based on team choice our celebration took place at the entertainment and recreation complex near Lviv. All of us felt cheerful owing to the importance of the event and a good weather and got great memories. The entertainment program was full of activities: football, volleyball, big/small tennis, beach games and way more. The time went so fast, which means so good! We were all excited about possibility to spend this day together, that was one more opportunity to strengthen our team relations. 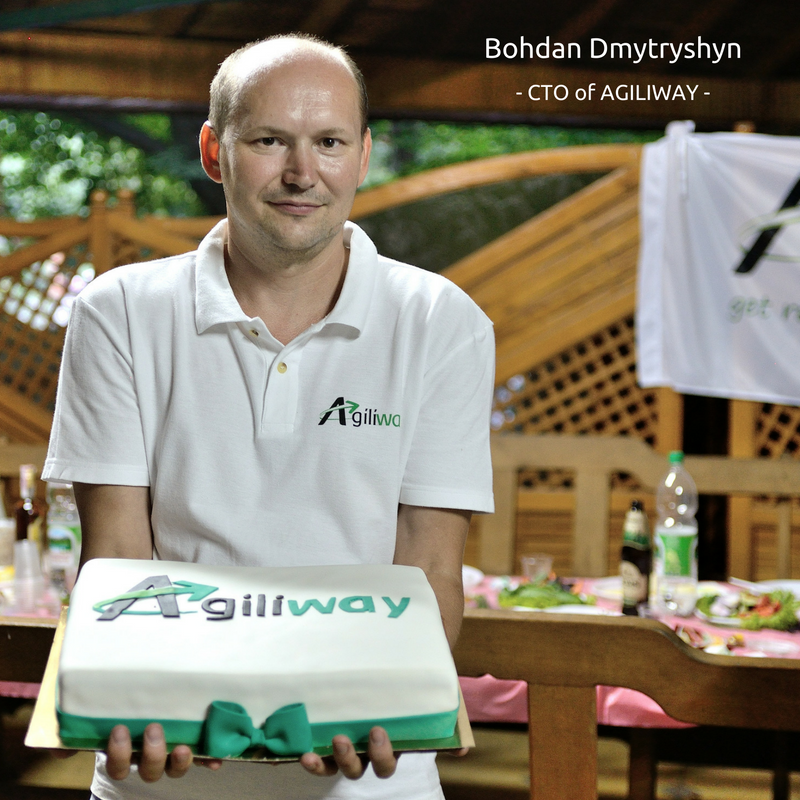 Agiliway is proud to announce that the Company Day was great and inspired us on new accomplishments. We continue growing, improving skills and expanding!